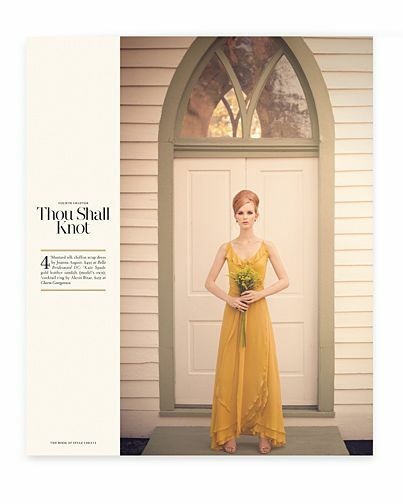 As I anxiously await the next issue of Bride & Groom by Washingtonian Magazine, I am reminded how much fun it was to work on the last issue. 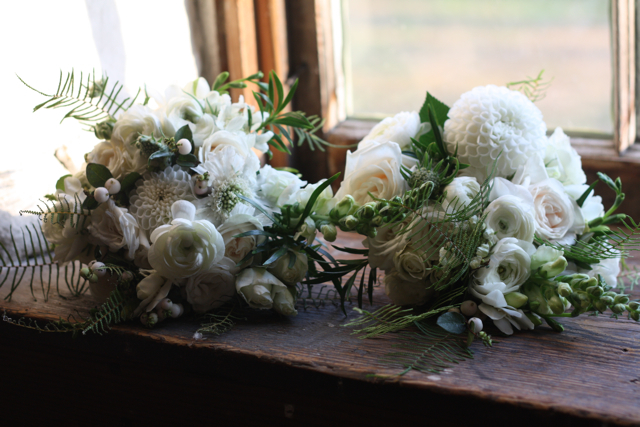 You may not know this but we were asked to supply the bouquets for their big photo shoot in Waterford VA. 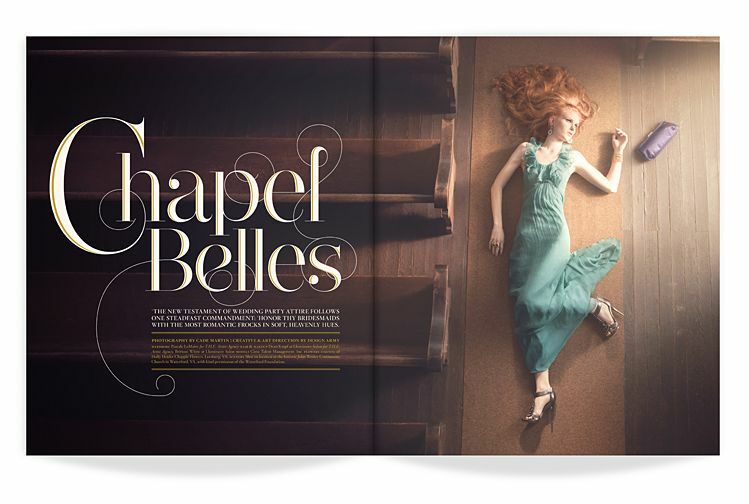 The shoot was titled Chapel Belles and being a Chapple, I thought that was very fitting. We invaded the dark and sleeping little village of Waterford at 6:00 am. This is known as "Call time." 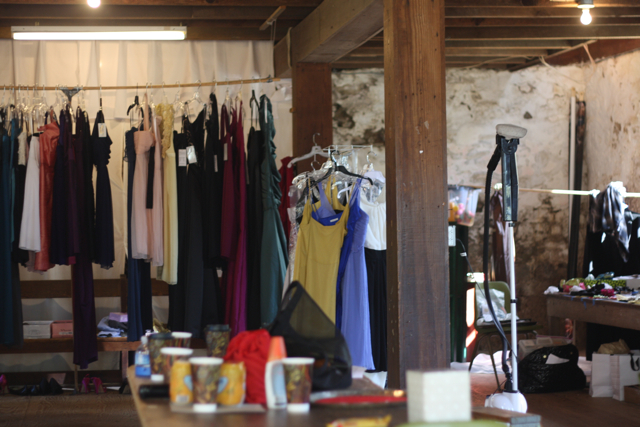 The props, dresses, makeup, and flowers were all set up in the basement of the Church. Let me also say that Editor in Chief Jill Hudson Neal and most of the Washingtonian staff were also on site at 6am, extremely impressive. Knowing how much work goes into one of these shoots gives me a whole new and huge appreciation for this fabulous magazine. 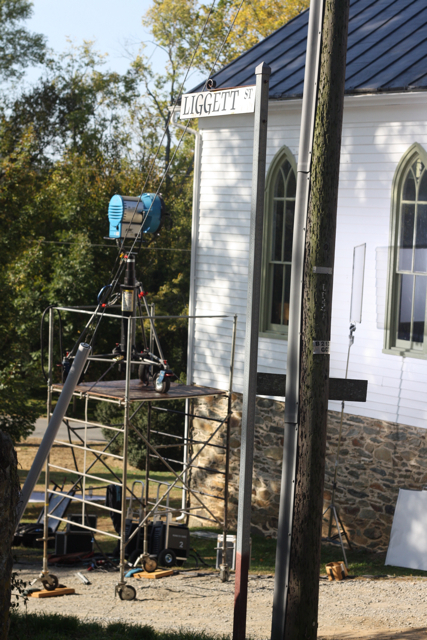 As models, artists, editors and directors got acclimated, scaffolding was built next to the church so that lighting, smoke machines, and photographers could all get where they needed to be. 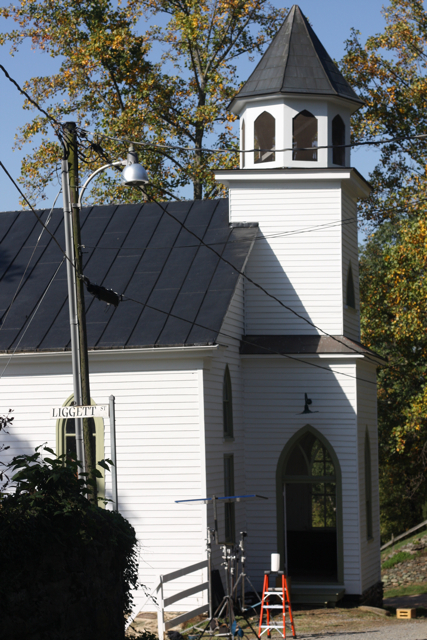 Waterford is a a small historic community in Loudoun County, and the residents are known for being very particular. 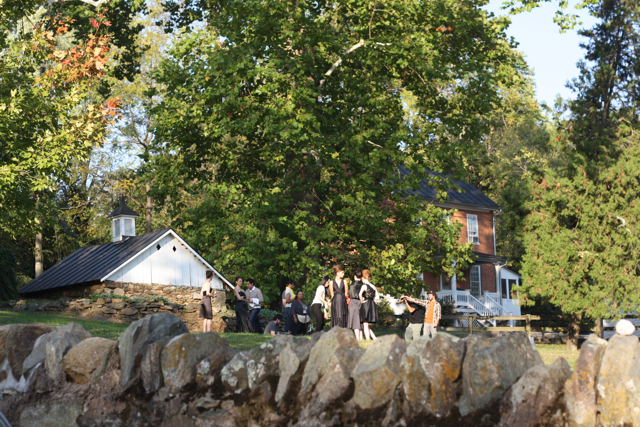 It was so fun to see the people of the village a buzz with all of the excitement. 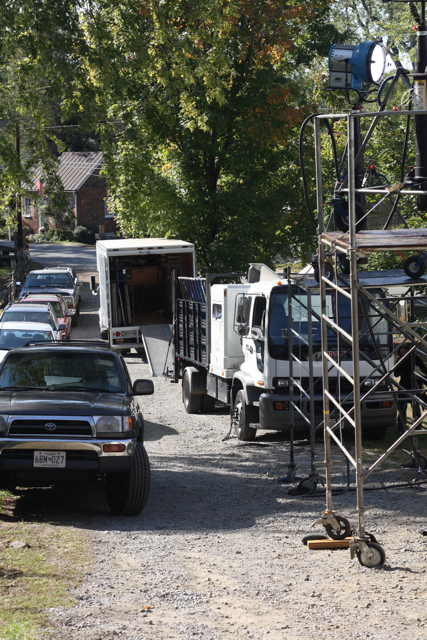 Villagers gathered on porches to drink coffee and watch the production as if it were a movie. 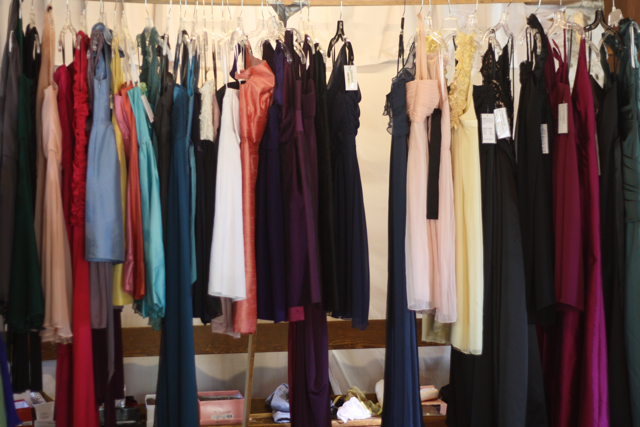 In the basement there were racks and racks of dresses, tables of makeup, jewelry, props and of couse my flowers. I was requested to bring some white maids bouquets and I think some pink bouquets. 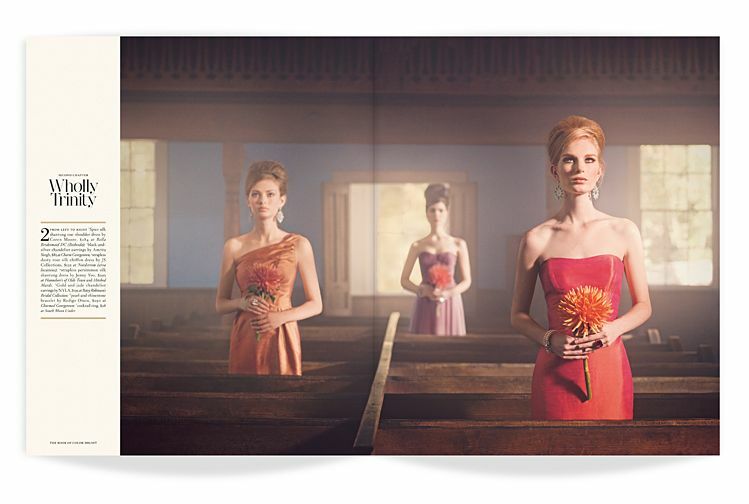 This shoot was always to be about the dresses and the bouquets were merely props, but I wanted the crew to have as many options as they did dresses. 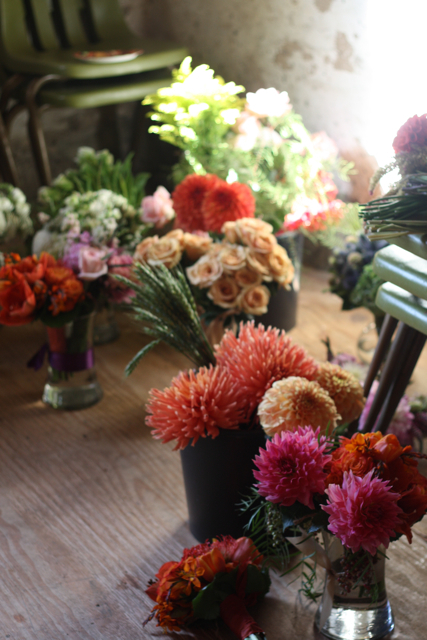 So, being the over achiever that I am, I raced home and grabbed buckets of flowers from the studio. 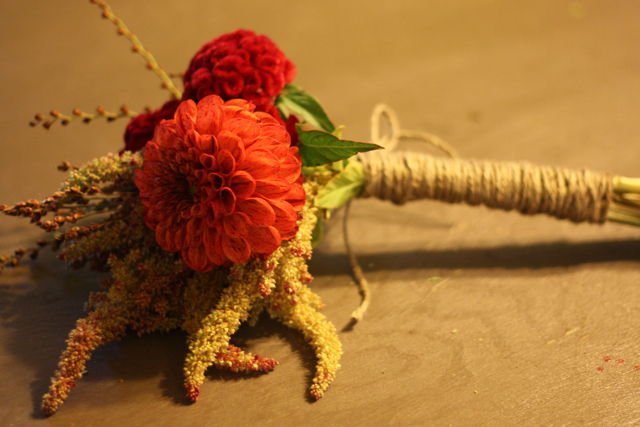 I also whipped up some other fun bouquets. 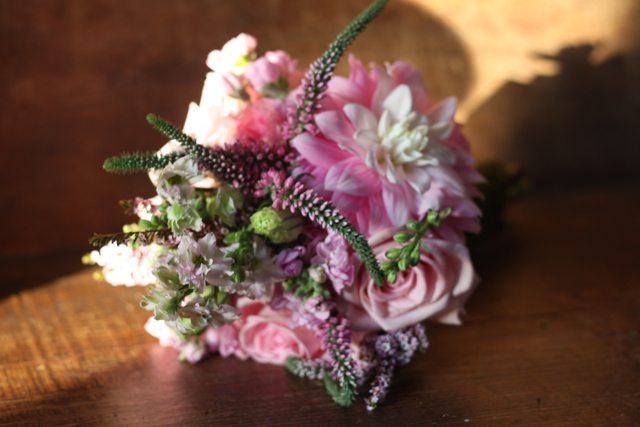 I used the leftovers from the weekend and flowers from my garden to create some more selections for the shoot. I love having lots of options. 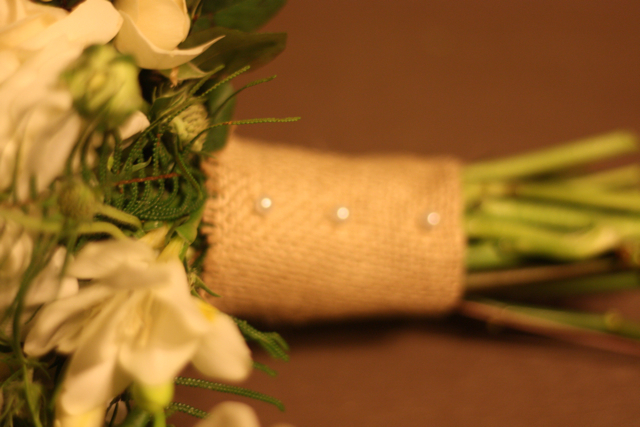 I made taupe toned bouquets with scabiosa and seeded euc. 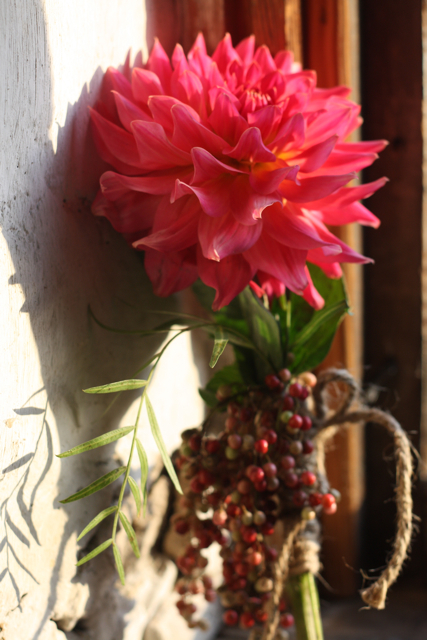 Dahlias from my man Don!!!! 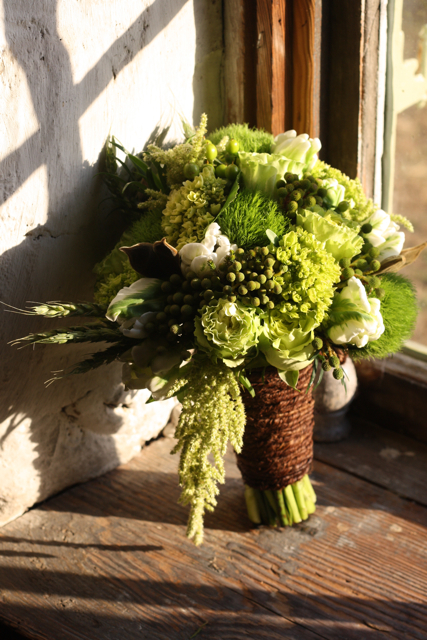 Green cabbage roses, green dianthus, green amaranthus, green berry and white tulips were wrapped with bark wire. 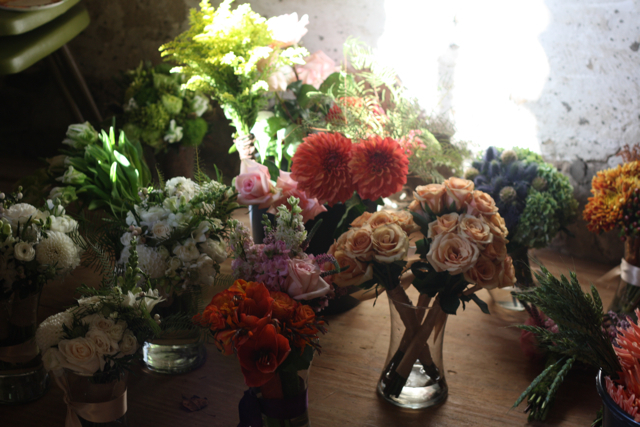 I certainly made way more bouquets then the magazine needed but I take every opportunity I get to impress my industry and I also love the chance to create for creations sake. I had so much fun working on this and I was so happy to be able to help with something this incredible. Being on the Washingtonians Best of List as Editors pick has been one of my greatest accomplishments, and quite frankly anytime they need flowers I will happily bring them buckets full. When I came back to clean up for the day they were finishing one of their last shoots and this image shows just how many people it takes to bring something like this together. One other fun little side note, editor Jill Hudson is so freaking beautiful that she was actually an extra model for this set. It was so fun to look up on the hill and see her modeling. Design Army of Washington DC was the creative/art director for the shoot and this particular shoot actually won a gold award at the DC Addy's and also a silver award at the District Two Addy's. 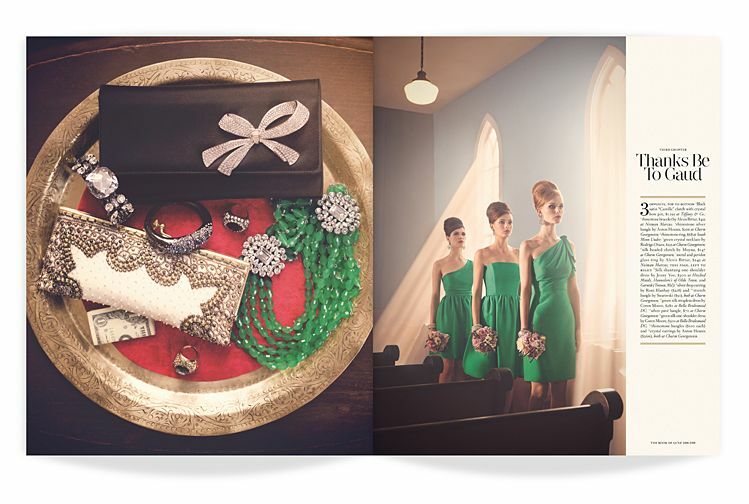 Here are the pages that were produced in the little village of Waterford. 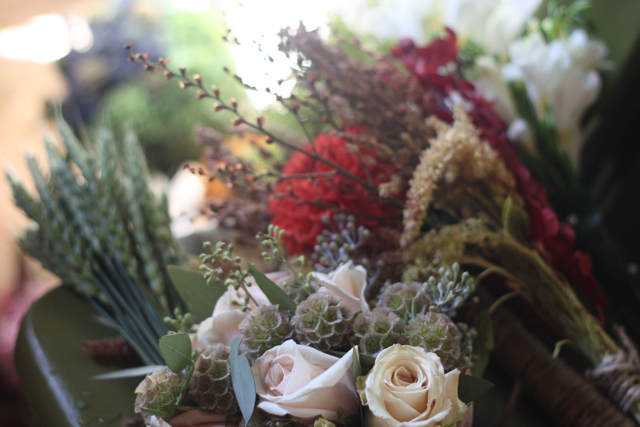 By the way Waterford is just a few minutes from my home and in fairness to all of the other wonderful florists in the DC area probably the reason why I got the gig. Oddly enough some of my favorite images of the day were created with the additional flowers I ran home for, absolute proof that you should always put in that extra effort, it pays off ten fold. There are no excuses for not putting your heart into something and always doing more than you were asked to do. 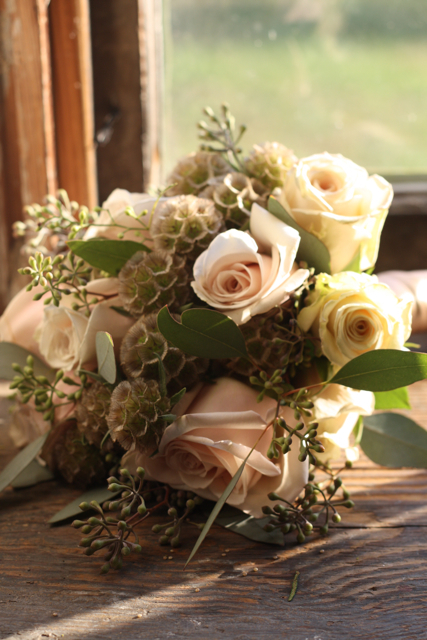 We provided the flowers for this shoot on a five wedding weekend, managed the kids, and were still able to design with passion for this. 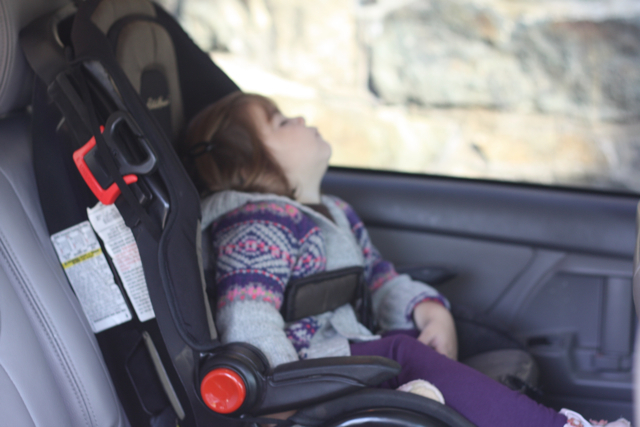 One last fun image from the day, my sweet baby Grace in the car at the shoot, but unfortunately she missed the activity. 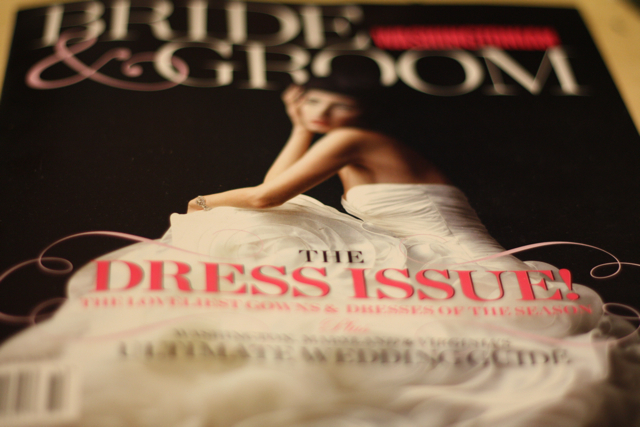 Be looking for the next issue of Bride and Groom, follow Design Army on Twiiter and Facebook and follow me, I am Holly Heider Chapple, Editors Pick. Photography for the shoot was by Cade Martin.